We all know the importance of proper time management – if you manage your time flawlessly, you’ll be able to perform high-quality work, but in less time. 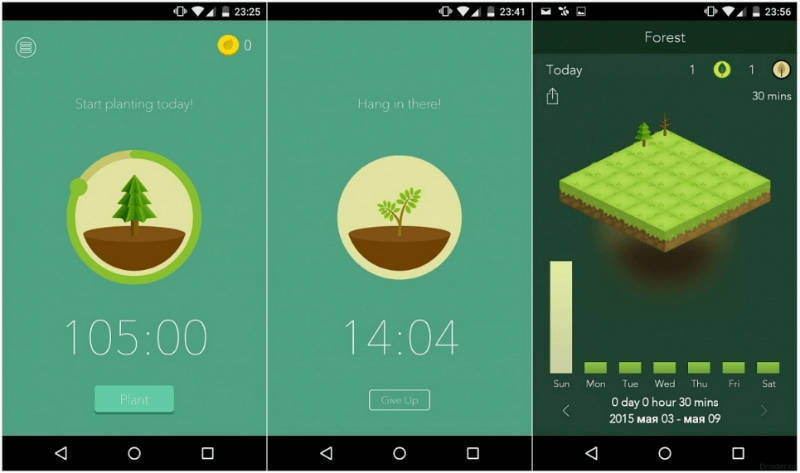 So, here are the best 15 time management apps meant to help you do just that. Google Hangouts is a powerful communications platform – you and your team can conduct video, audio and textual chats any time you need. 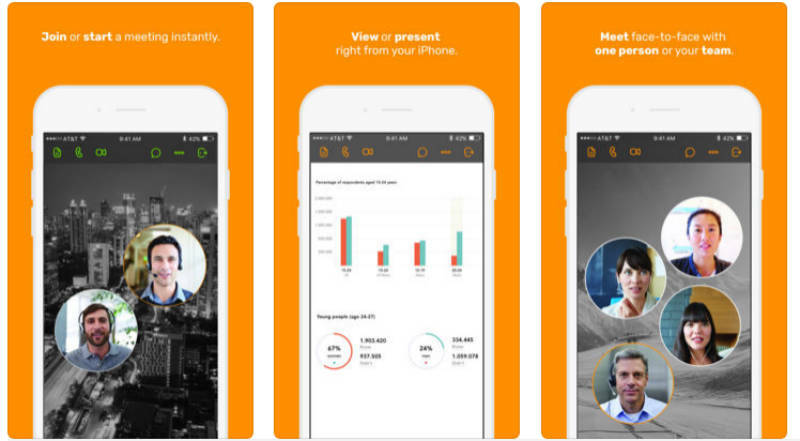 You’ll be able to message your coworkers, conduct free video and voice calls, as well as take part in conversations with one person or an entire group, even when offline. You can participate in group chats with up to 150 people, and in group video calls with up to 10 people. For easier setup, you can start the group video call directly from your Gmail account. In addition, you’ll be able to share images, videos, maps, and many other formats meant to clarify your thoughts in a conversation. 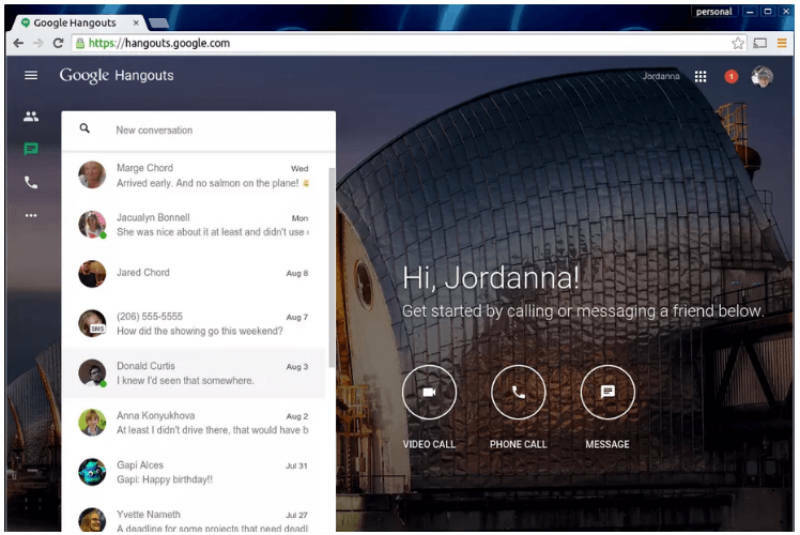 If you connect Google Hangouts with Google Voice, you’ll also be able to manage SMS messages, as well as access your voicemail. Clockify is the ultimate tool meant to improve your time management – this free time tracker enables you to track time you spend on various activities, providing you with data meant to improve your work routine. The Clockify time management app helps you track work hours, before calculating your billable hours and payroll. 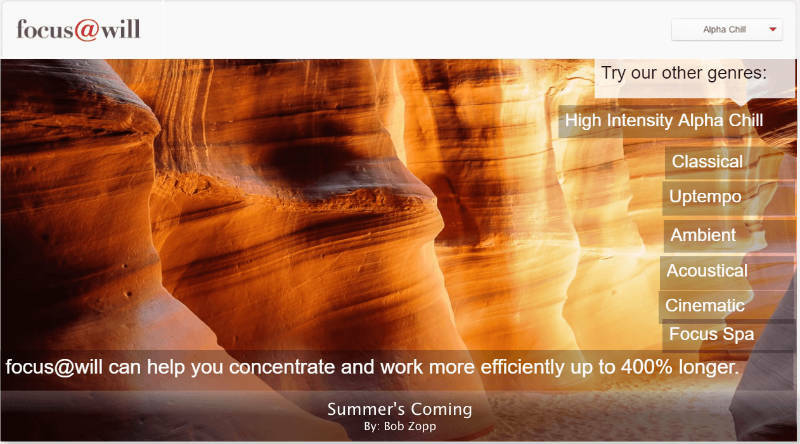 You’ll also be able to assess whether you always spend your time at work productively, or not. In the timer mode: just start the timer once you start working on an activity, and stop it as soon as your done. In the manual mode: enter the time you’ve spent working on an activity manually. Alternatively, you can enter time manually in the Timesheet view. After you’ve logged all your time, you can generate Reports (Summary, Detailed or Weekly) indicating how productive you are with your work within a specific time period (week, month or year), and how much you need to invoice your clients. Remember the Milk is the perfect task manager to help you remember (and be encouraged to tackle) items in your to-do list. This simple virtual assistant allows you to add tasks, associate them with sub-tasks, and define due dates for everything you need to do today, tomorrow, this week, or any other time. The system distinguishes between personal and business tasks, but you can also take your to-do list game further, via “smart lists”. These lists are created based on a special criteria you’ve previously defined – they’re updated automatically, once something about your tasks changes. The number of platforms where Remember the Milk is available is another astonishing feature. 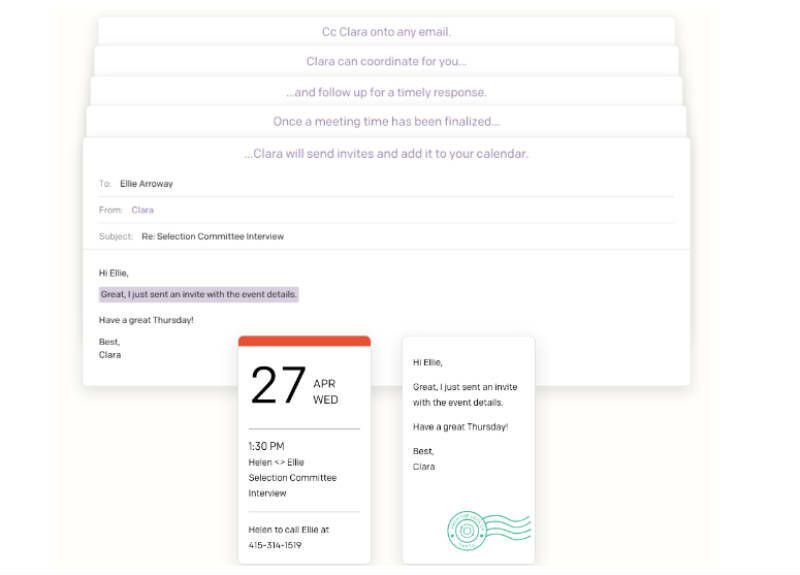 Clara is an AI email app meant to streamline your meetings, by helping you schedule and coordinate them. You’ll be able to set up meetings easily, by automating the process of arranging meetings through email. With Clara, each time you need to finalize agreements for a meeting, it will find a solution that fits well with everyone’s schedule. It will also send out follow-ups, and, finally, send out invites to attendees, before noting in everything in your calendar. Forest is the ultimate focus app that helps you save time, by encouraging you to pursue your tasks and avoid procrastinating on your phone. you blacklist websites you want to avoid. when you want to focus on a task, you plant a virtual seed – within the next 30 minutes, the seed grows into a virtual tree, but only if you stay focused on the task. If you falter on your task, and check a website you’ve previously blacklisted, your tree withers and dies instantly. If you manage to stay focused on all your tasks within their 30-minute time-frames, you cultivate an entire forest. As an added bonus, if you spend the virtual coins you earn in the app, the Forest team contacts their partners, Trees for The Future – and arranges for a real tree to be planted somewhere in the world. 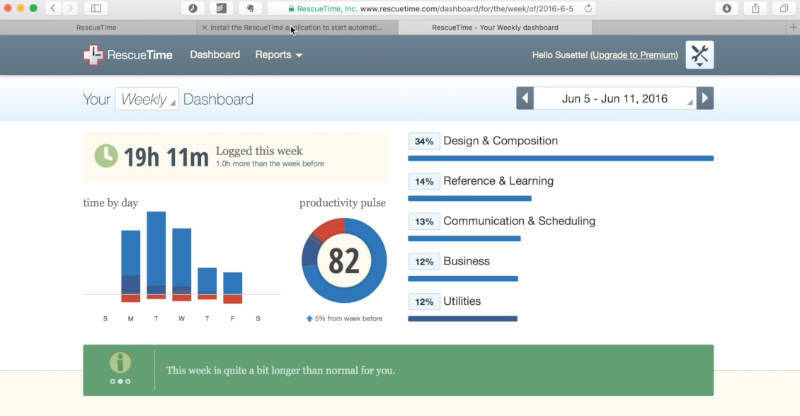 While Clockify is a straightforward work hours tracker, RescueTime plays out more as an automatic productivity tracker. It automatically measures the amount of time you spend on various software or websites, and then stores this data to an easily accessible cloud. Once you install it, you’ll get accurate data on how long you procrastinate on various time-consuming websites – the app immediately starts recording time as soon as you switch from one website to another. You can also set up alarms to notify you when you’ve already spent too much time on a blacklisted website – for example, you can set the daily upper limit for Facebook to 2 hours, and an alarm will go off when the 2 hours expire. MyNoise is an effective noise generator that offers a large number of sounds meant to help you stay focused on your work. You can choose your preferred group of sounds, and then adjust the volume for the individual sounds within that group – for example, in the Japanese Garden, you can adjust the volume for the waterfall, wind, bamboo leaves, and windchimes. Rain on a tent offers you the soothing sounds of rain falling above you, over a tent. And you’re prompted to combine this group of sounds with the “Jungle” selection, for maximum immersive effect. Examination hall offer you the unexpectedly relaxing sounds of a University hall during an exam: you can listen to distant coughing, pen clicking, writing, and faint footsteps of your supervisor. What better way to make you concentrate on a task at hand, than to look back to the days when you had no choice but to finish your paper before the time’s up? These are just a few from the many options you can choose from. 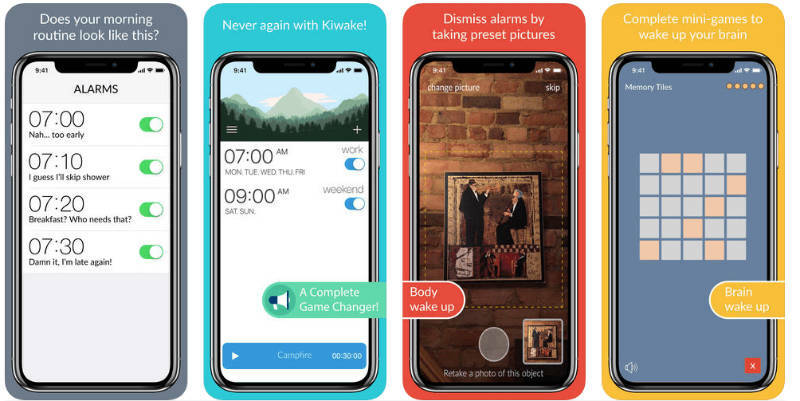 Kiwake is an interesting twist to the old alarm clock formula – you have to prove you’ve left your bed, and there is no snoozing option at all. So your chances of sleeping in are slim. Once the first alarm goes off, you’re prompted to get up, and take a picture of a specific object located far from your bed. Then, you have to complete a quick mini-game, in order to wake up your mind. In the end, you’re prompted to go over your schedule for that day, and review your main goals. Once you’ve completed all these steps, the alarm shuts down. Luckily, Kiwake doesn’t require you to jump upright straight away – once you set up a cooldown timer, you’ll be allowed to stretch first. But for no longer than 3 minutes. Nimbus Note is a simple note manager – you’ll be able to create and edit notes, sort them in folders and subfolders, and then share them with coworkers. The apps lets you sort and organize your notes, as well as add context to them, by labeling them with tags. Nimbus Note also lets you add supporting material to your notes, in the form of audio, video and image files. You can then turn your notes into comprehensive to-do lists, meant to help you keep track of your assignments. The standout feature fo the appis that you can digitise paper documents, such as business cards and pictures. And, owing to the available text recognition component, you’ll be able to manipulate text in the digitized documents as well. 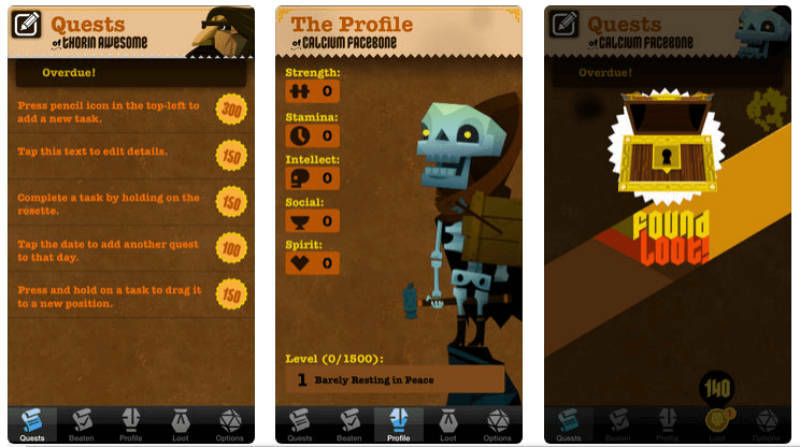 Epic Win takes keeping track of your to-do lists to a whole new level – by gamifying the entire process in the form of a fun RPG game. Once you open the app, you’ll be prompted to list your chores and reminders, before your avatar takes over – he’ll suffer the consequences if you fail to complete a task, or gain a reward if you manage to power through. You’ll be able to tackle recurring tasks, track overdue events, and view reminders – each time you complete a task, your avatar destroys it, leveling up, improving its stats, and gaining riches in the process. One interesting tidbit is that the avatar changes over time, in order to reflect your routine – it will differ depending on whether you barely manage to juggle your priorities, or have nothing but victories. 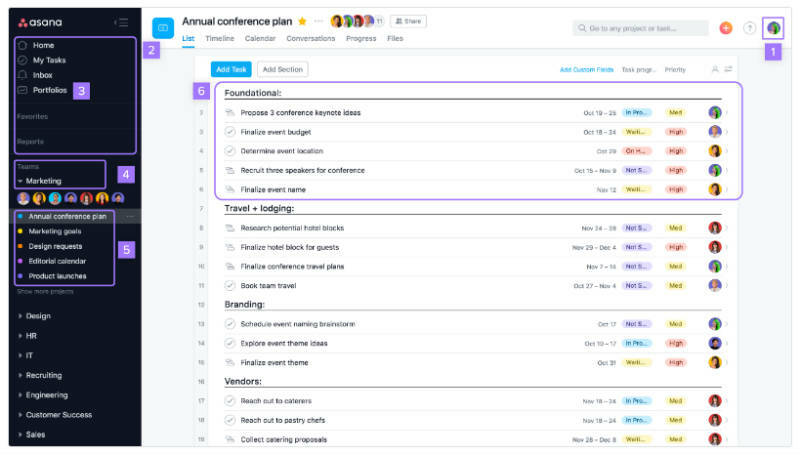 Asana is meant to improve your time management by streamlining team collaboration – your team can easily manage tasks and projects, and not waste a minute wondering about who needs to do what, and when. 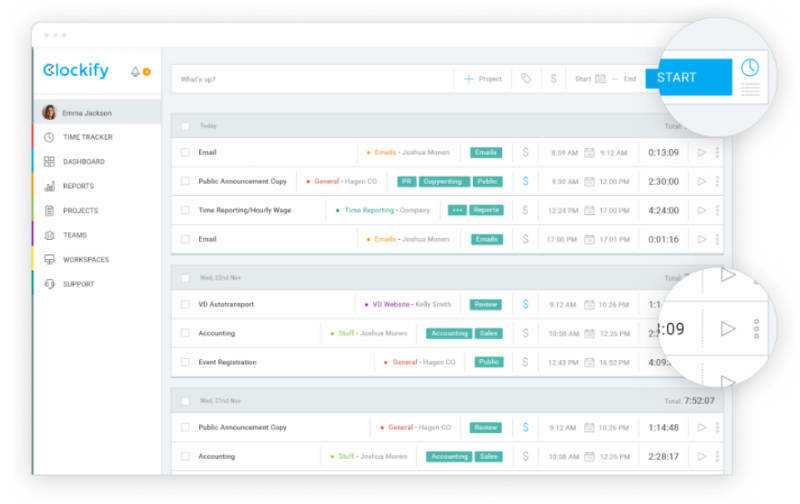 You’ll be able to prioritize tasks and projects, define deadlines, specify details, and assign tasks to the most appropriate team members. Once you’ve done that, you’ll be able to follow the tasks’ progress on a straightforward visual project plan, which allows you to notice and prevent potential problems, gaps and overlaps. One standout Asana feature is its Focus Mode – this mode allows you to see and tackle only one task at a time, without feeling tempted to succumb to the dangers of multitasking. Focus@Will provides you with instrumental music meant to help you finish work faster and procrastinate less, by increasing your productivity and focus levels. The app combines neuroscience and music – you get tens of thousands of hours of instrumental music, in 50 channels that are updated with new tracks every month. The bonus channel of the app is the one specifically designed for people with ADD and ADHD – so, with Focus@Will, focus is possible for anyone. According to its creators, this app eases you into productivity within 20 minutes, which is the time needed for the music to blend in with your thoughts. Once you’ve grew accustomed to the music, it keeps you in focused state for a 200-minute session. Join.me is designed to help you set up online meetings and web conferences, as well as share your screen with collaborators. You’ll save a lot of time you’d otherwise spend getting everyone from your team together in front of the same screen. You’ll also be able to manipulate meetings, by scheduling, annotating, recording, locking or exiting them when you see fit. You can include 250 participants, who can join in from over 40 countries, and then track who’s in attendance – or even remove members who are disrupting your workflow. 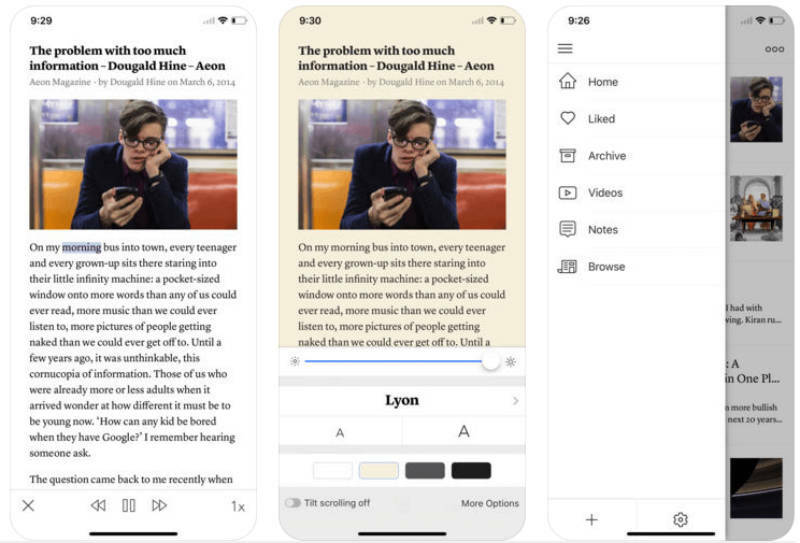 Instapaper is perfect for when you want to save something you’ve found on the Internet for later – news articles, quotes, videos, or anything you may encounter, but have no time to tackle right now. 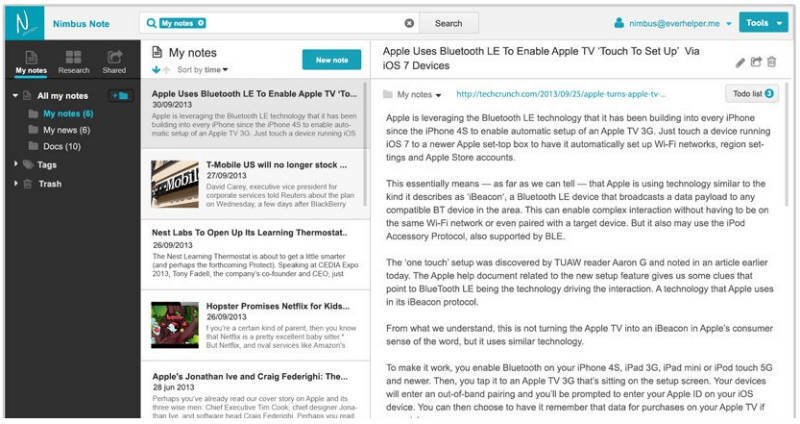 Later on, you’ll be able to read and manage the saved content, and even include highlights and comments to the text. You can access your saved documents across a variety of devices, even offline, as everything syncs together automatically. With this app, even when waiting at the dentist, or going through a tedious commute, you can enjoy interesting content, and not waste a minute of your time. The bonus features include speed reading (which helps you read up to 3x faster), text-to-speech playlists, and a straightforward search system. 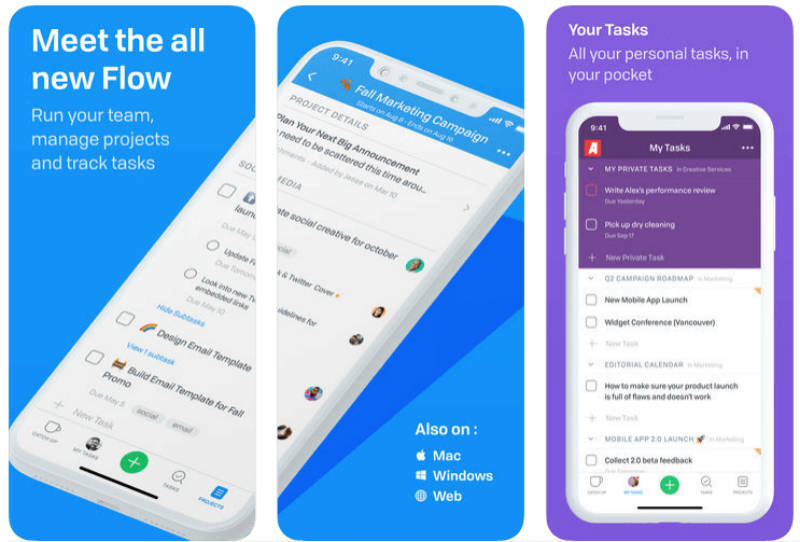 Flow is a straightforward management app meant to help you manage projects and teams, as well as track the tasks you’re currently working on. You’ll be able to plan and manage projects, keep track of everything through progress timelines, and visually organize your workflow through a drag & drop system. Flow also allows you to track your task’s progress, and associate tasks with notes, comments and subtasks, as well as bind them with specific start times and deadlines. The app also provides you with an effective integration with Slack, so you can share project updates with your team, and even create tasks, through the /flow command in slackbot. When it comes to team management, you’ll be able to manage multiple teams separately, as well as define user permissions, by distinguishing between private and public projects.